The Ace Roto-Mold division of Den Hartog Industries manufactures a variety of plastic tanks to meet all of your liquid storage and containment needs. Most tanks are manufactured from medium- or high-density polyethylene and are designed for containment of liquids of up to 1.7 specific gravity. Most plastic tanks come standard in the “natural” (white) color, which is translucent for level viewing and FDA approved for potable water and food-grade storage. Ace Roto-Mold is proud to offer a variety of high-quality tanks for the agricultural and industrial markets. If you are looking for a high-volume manufacturer of custom tanks other than those listed, please visit our OEM/Custom page. 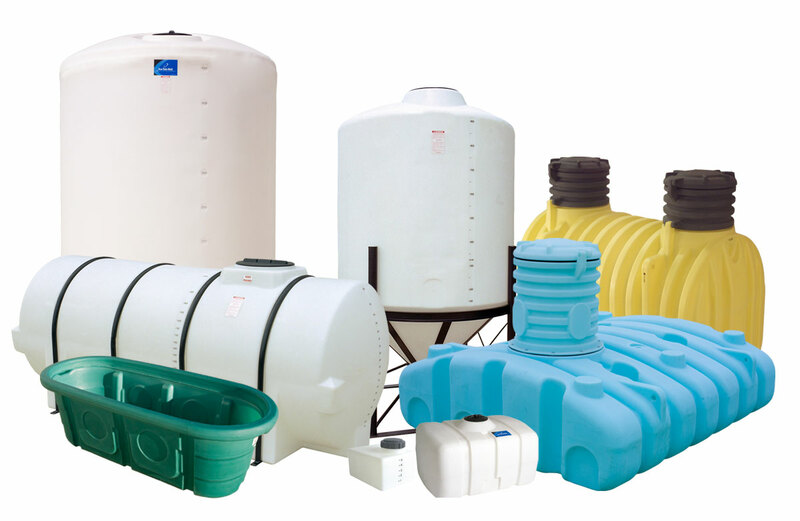 If you are a new customer interested in purchasing liquid storage and containment plastic tanks, please contact your local tank representative. If you are a current customer, please fax your order to 1-712-752-8222. For additional information, contact your sales representative or our customer service department.